Dan Poblocki is an American author of mystery and horror novels for young people. He was born in Providence, Rhode Island. During his pre-teen years, his family moved to Basking Ridge, New Jersey. Dan currently lives in Brooklyn, NY with two scaredy cats. Dan now writes full time. He's probably working on something new this very minute! I always tell the tale that my friends and I would gather in my neighborhood after school to share ghost stories, trying to see who could freak everyone out the most. I loved the reactions I would get from my friends, and I think that was probably the spark that led me to eventually putting words down on paper. It took years and years for me to show my writing to anyone after that. I never thought I was any good. But when I moved to New York City in 1999, I was lucky enough to meet a group of like-minded people who were kind enough to offer helpful criticism. With their advice, and a lot more work on my own, I finally felt comfortable submitting a manuscript to a publisher. For me, both writing and reading are an escape from the stresses of reality—living and working in NYC comes with plenty of stresses. I love finding a world in a book in which I can submerge myself for a week or two. In my own work, creating those worlds is even more satisfying. Better than helping us escape, stories also make us think. Recently, I’ve felt that actual, real thinking is a valuable commodity. What better way to replenish brain cells than by sharing thoughts, sharing stories, of all sorts, with one another? Rachel Cohn—co-author of Nick and Nora’s Infinite Playlist, author of the Gingerbread books and most recently the sci-fi novel, Beta—once told me that distractions come from all directions and that as a writer, we need to keep our “blinders” on. Blinders. You know the kind that people put on horses at the sides of their eyes so they can focus on the road ahead? Like that. Over the years, whever I was feeling down on my writing—either from self-doubt or external influences—I always remembered her words. “Put on your blinders.” It’s really kept me moving forward. I’m not sure I would have ever finished a manuscript if Rachel hadn’t shared this advice. So thanks, Rachel! 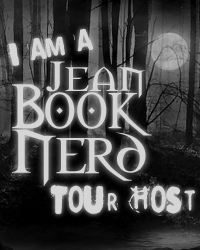 In your new book; The Ghost of Graylock, can you tell my Book Nerd community a little about it? The Ghost of Graylock is a middle-grade, family drama wrapped up inside a tale of madness, murder, and messages from the “beyond.” A group of kids explore an abandoned hospital in their town, and after escaping a particularly frightening experience inside the building, they wonder if someone or something has followed them home from the institution. For those who are unfamiliar with Neil, how would you introduce him? Neil is the main character in the book. He’s a twelve-year old boy whose mother has recently been dealing with clinical depression. He and his older sister Bree are staying with their aunts in a small town in the Catskill Mountains while their mother gets medical help. Neil is inquisitive and friendly, but he worries about his mom and about the effect that her illness might have on him and his sister. He loves ghost stories and spooky legends, and he is obsessed with a television show called Ghostly Investigators, so much that he desires to become a ghost hunter himself. When he learns that there is an abandoned psychiatric hospital in the woods near the aunts’ house, and that there’s a rumor the building is haunted by the ghost of a killer nurse, he decides to distract himself from his family problems by exploring the ruins of the old building, and possibly discover the truth behind the stories of the three murders that supposedly happened there years before. My next novel is due out next fall. It’s another spooky mystery called The Haunting of Gabriel Ashe. It deals with bullying and family secrets and broken friendships. Oh and there’s a big scary monster in it too! Yeah! I’m also putting together some other top-secret projects. I’m very excited about all of them and hopefully will be able to share them sometime soon. If you could introduce Neil to any character from another book, who would it be and why? Maybe this answer is a cop-out, but I’d love for Neil to meet the characters from my other books: The Stone Child and The Nightmarys. I feel like Neil and Eddie and Maggie and Harris and Timothy and Abigail would get along great. What they all have in common is a desire to protect their friends and families and to stop “Big Bads” from wrecking havoc on their towns. I can imagine all of them forming a type of middle-school Justice League, using their various horrific experiences to combat an apocalyptic evil. Actually, I like that idea. Maybe I’ll write that book one day! If I tell the truth on that one, people’s eyes tend to glaze over with boredom. So I usually go with the standard: I’m fine! Everyone says this one but only because it’s totally true: Write a lot, and read a lot. I think it’s important to be aware of others’ voices and styles. You might find that your voice/ style is similar to someone else’s or discover that there’s a certain style you despise. Once you’re aware of what’s out there and what you respond to personally, you can decide to hop into a certain genre-pond, swim around, explore. Or you may leave all that behind and try for something no one’s ever done before. Check out Mark Z. Danielewski to see what I mean. If your work makes you happy, no matter how weird or dark or inaccessible, I believe it’s worth it. My mom. She’s always got a great attitude and wisdom to spare. What is your favorite room in your home and outside environment? I live in a tiny apartment in Brooklyn, so it’s mostly like one big room. I do like laying on my bed in the sun with my cats though. I read, and they sleep. I took a ballet class in college where I needed to touch my toes. Impossible. You’re going to think I’m sick . . . but I’m game! In a dream, I once approached a deli-counter in a grocery store and ordered half of a frozen human baby. But the butcher only had a whole frozen human baby. (Of course.) So he had to take out his buzz-saw . . . I woke up from that nightmare hating my brain for doing that to me! Who was your first girlfriend? In Woonsocket, Rhode Island, I shared a playpen with my first friend, a girl named Chrissy. I’m pretty sure we were engaged before we turned three years old. So, I suppose she was more like a fiance than a girlfriend, but still, that’s all I got for ya. A brunch buddy here in Brooklyn, NY. Everybody hugs after brunch here. It’s part of the Sunday morning ritual. If there are cupcakes in a room that I enter, there are rarely cupcakes left in that room when I leave. Danpoblocki.com is the website where you can find my email address. I try to respond to everyone as soon as possible, but sometimes I fall behind. Sorry! Does an abandoned asylum hold the key to a frightful haunting? Everyone's heard the stories about Graylock Hall. It was meant to be a place of healing - a hospital where children and teenagers with mental disorders would be cared for and perhaps even cured. But something went wrong. Several young patients died under mysterious circumstances. Eventually, the hospital was shut down, the building abandoned and left to rot deep in the woods. As the new kid in town, Neil Cady wants to see Graylock for himself. Especially since rumor has it that the building is haunted. He's got fresh batteries in his flashlight, a camera to document the adventure, and a new best friend watching his back. Neil might think he's prepared for what he'll find in the dark and decrepit asylum. But he's certainly not prepared for what follows him home. . . . Scary, suspenseful, and surprising, Dan Poblocki's latest ghost story will keep you turning pages deep into the dead of night. Dan Poblocki’s utterly frightening book, The Ghost of Graylock, will leave its readers feeling stone cold that even thrill-seekers would abandon any thoughts of ever entering a haunted building. When Graylock Hall was in operation, it was a place where children and teenagers plagued with mental disorders can go to for help. Unfortunately, it was shut down after the mysterious deaths of several patients. Abandoned and forgotten, Graylock Hall has not seen a single soul since closing its doors. Until Neil Cady and his sister Bree moves into town and learns about the hospital and sets up an adventure hoping to find thrills within the compounds of the deserted building. He’s ready for whatever the rotting building will show but nothing could ever prepare him for what follows him home. This book is entirely scary and suspenseful book but beautifully written. Author Dan knows exactly what gets under his readers’ skin and skillfully puts it in words that will leave them with frightful thoughts and visions. The vivid descriptions he provides are engrossing that makes this fast-paced read perfect for its genre. A lot of times, this type of story tend to be predictable but it certainly was not the case here. Even with the ghostly figure hinting the siblings who the killer is, only towards the end that readers will find out who it is. Dan’s eloquent writing style allows for such great story-telling that it will be difficult to step away from its enthralling story. The Ghost of Graylock is creepingly interesting that at times, you may want to stop because of the fear of being frightened, but remain dedicated to its gripping tale and continue. Thank you DAN POBLOCKI for making this giveaway possible. 1 Winner will receive a Copy of The Ghost of Graylock by Dan Poblocki. Thank you Dan and Jean. Awesome giveaway you have!!! Whoa! The cover looks hauntingly beautiful! Love a good ghost story, thanks for stopping by Dan. Ghosts of Greylock is going on my list. I can never finish all requirements.... does that leave me out ? I'd love to get a copy of Dan's book! Thank you so much for this chance! I would love to read this intriguing ghost story. Thank you for this awesome giveaway! I'm with Jasmine, definitely sounds like an intriguing book and I would love to read it. Thank you for sharing with us.